BEIJING -- BMW previewed the expansion of full-electric cars into its core product lineup with the iX3 concept at the auto show here. 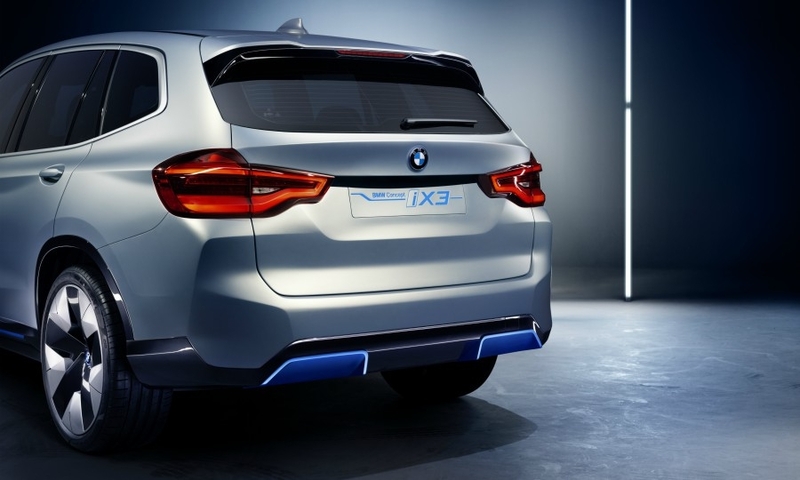 The Concept iX3 heralds the first mainstream model from the BMW brand to be driven purely by electric power, the automaker said. 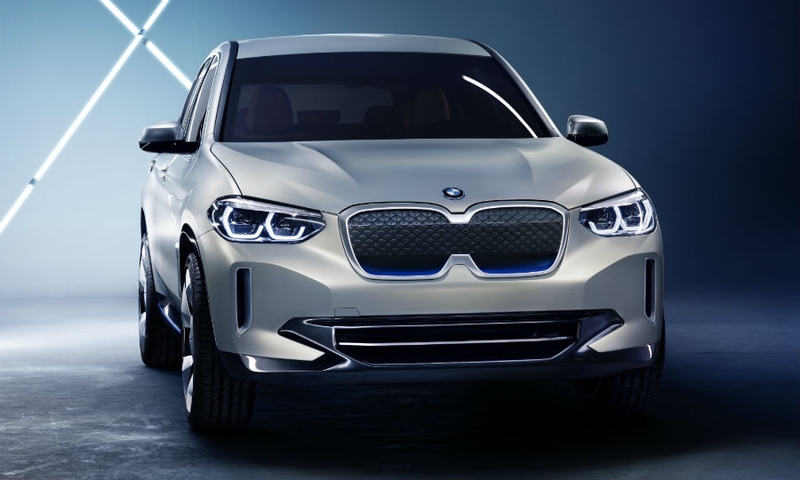 BMW plans to begin producing the iX3 in 2020 at its joint-venture plant in Shenyang and will sell the model abroad, according to partner Brilliance China Automotive Holdings. 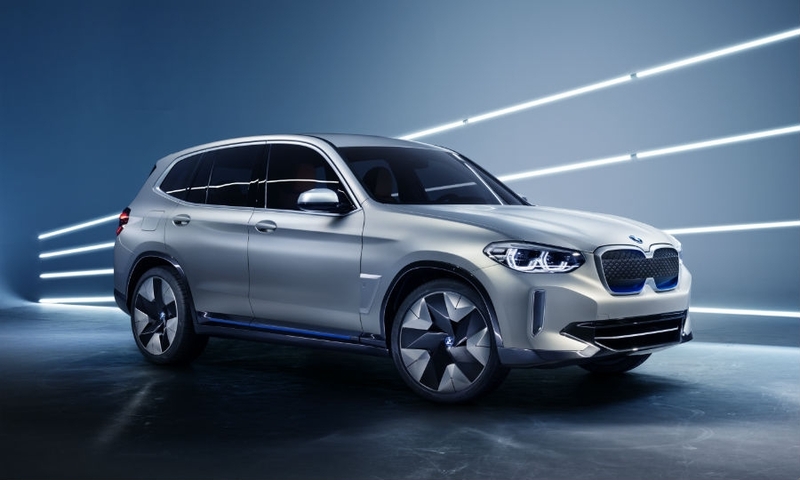 The production model will be the first BMW to use a flexible architecture that will underpin combustion engine, plug-in hybrid and battery-powered cars. The concept is powered by a 200 kW/270 hp electric motor. It has a more powerful battery that offers better performance and range combined with lower weight and volume. The concept has a range of more than 400 km (249 miles) under the Worldwide harmonized Light vehicles Test Procedure (WLTP), BMW said. A new charging control unit allows the battery to be recharged in 30 minutes when hooked up to a station with 150 kW output. 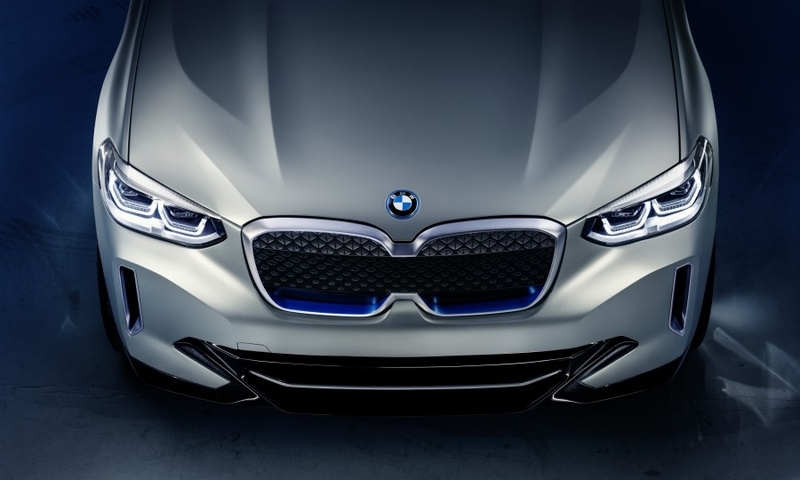 The iX3 concept is the first BMW with the signature kidney grilles joined together. 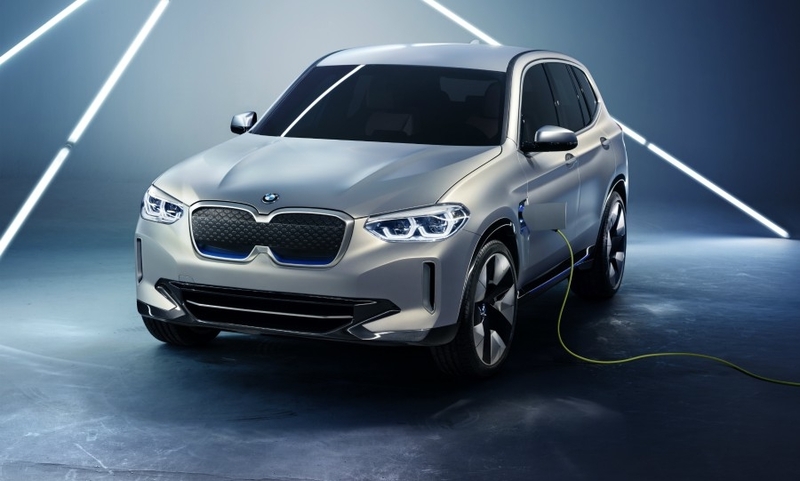 The iX3 will use BMW's fifth-generation eDrive technology that combines the electric motor, transmission and power electronics into one compact unit similar to a concept that major suppliers such as ZF Group and Robert Bosch are developing. BMW says the components are modular and therefore scalable to increase savings. Additionally the motor itself eliminates a key strategic dependence in its supply chain. 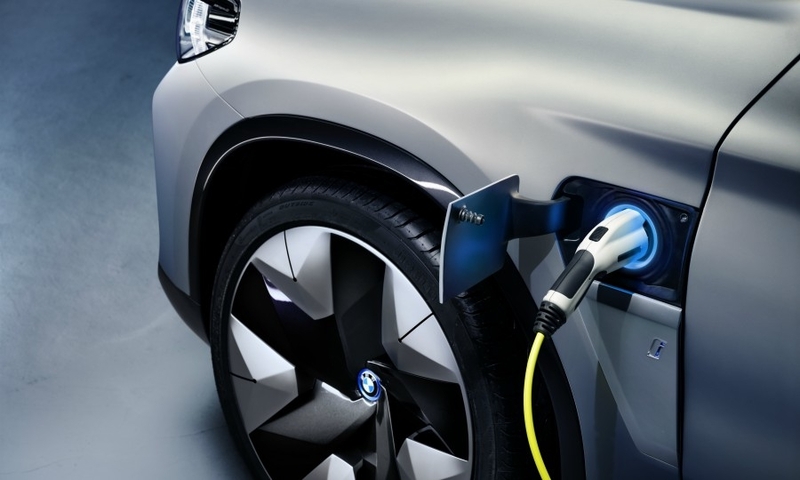 Unlike competitors, BMW is able to do entirely without the use of rare earths such as neodymium, typically needed in electric motors for their unique magnetic properties. These are almost entirely mined in China. The iX3 will enter the fast-growing premium electric-SUV segment after Jaguar’s I-Pace crossover and Audi’s Q6 E-Tron, which are scheduled for initial deliveries later this year, and the Mercedes-Benz EQ C crossover coming out in 2019. 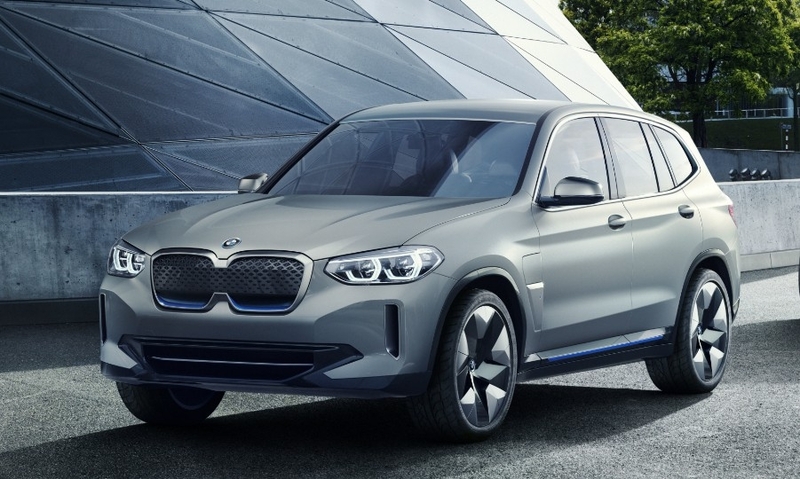 BMW plans to launch 12 full-electric cars sold by its core BMW brand and Mini by 2025, CEO Harald Krueger said in September. The company will identify its electric cars with the letter "i" prefix. Its i subbrand currently sells the i3 battery-powered city hatchback and i8 hybrid sports car. 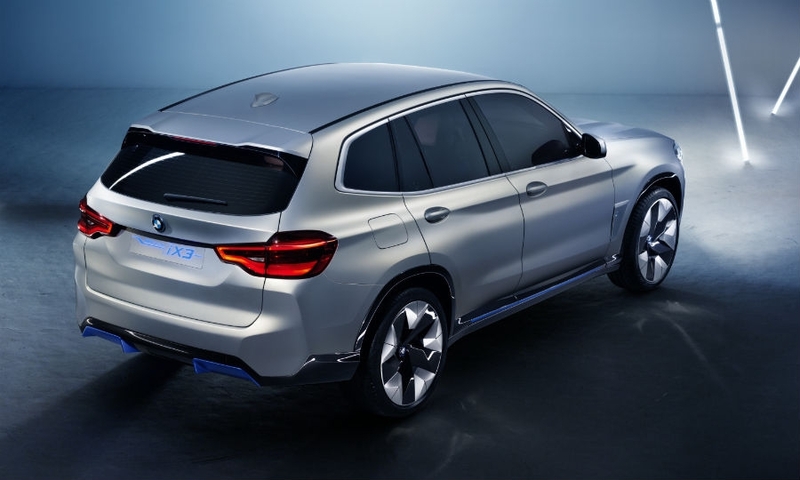 The automaker has secured naming rights for the badges i1 to i9 and iX1 to iX9.